Before we leave patch pockets behind us, I thought I'd squeeze in this post to show you what they look like on non-garments. Some time back, I made this collection for Emily. 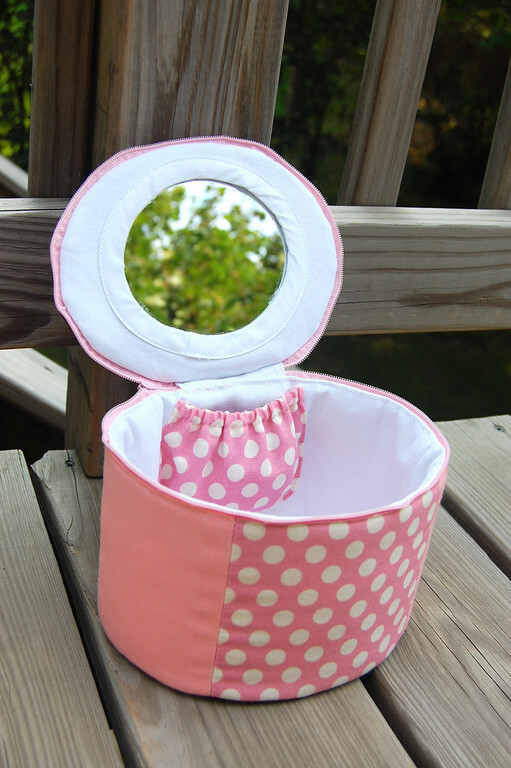 There were many different kinds of pockets involved, which made the project particularly interesting. I'm not planning to do tutorials on these, so I'll just show you photos of the patch pockets therein. In that top photo, the patch pocket was lined, with piping sewn into the lining. Then the entire thing was top-stitched onto the side of the bag. Emily's backpack had two patch pockets. The one in front had a hooded top under which was tucked a zipper. Very common in backpacks. It was cut as two flat pieces and the corners sewn in like you would a tote bag, to give it depth. 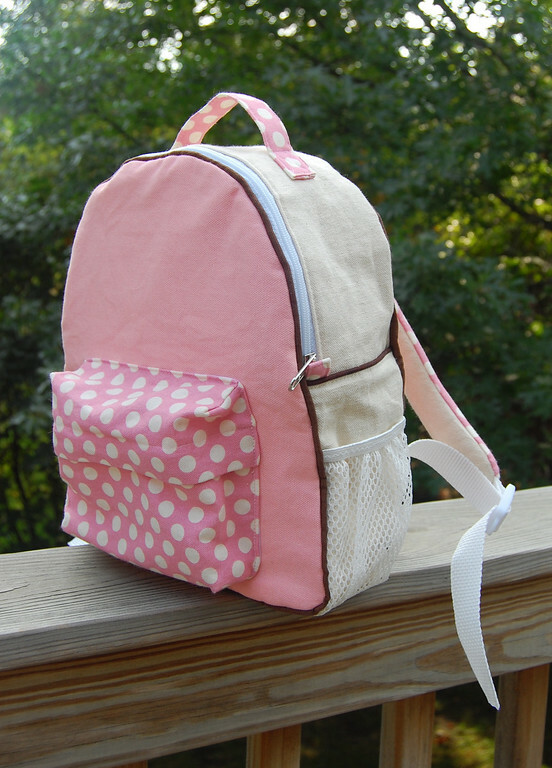 Then it was lined and top-stitched onto the backpack. 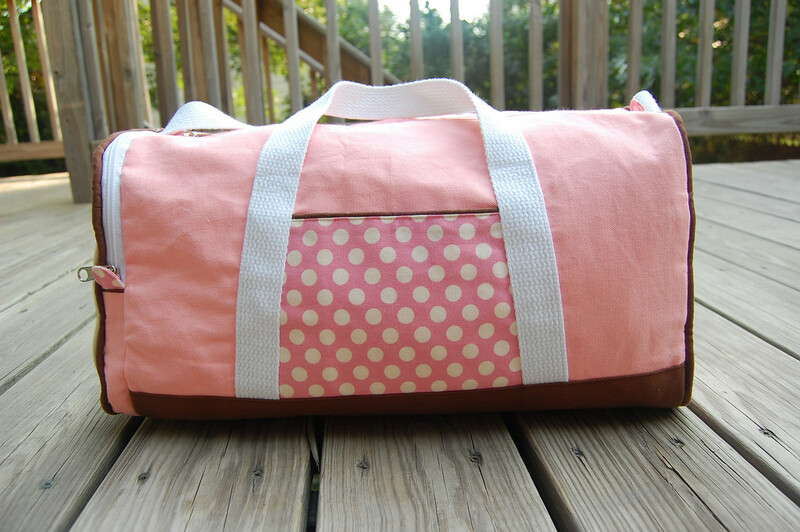 rather than top-stitched onto the bag, its sides and bottom are enclosed within the side seams of the bag. Here is another roomy patch pocket with elastic to keep its top edge from gaping open. The elastic is sewn into a casing just like in a gathered skirt. This next side pocket was a lined rectangular pocket with piping sewn into the top edge of the lining. It was then sewn onto the outside of the bag. 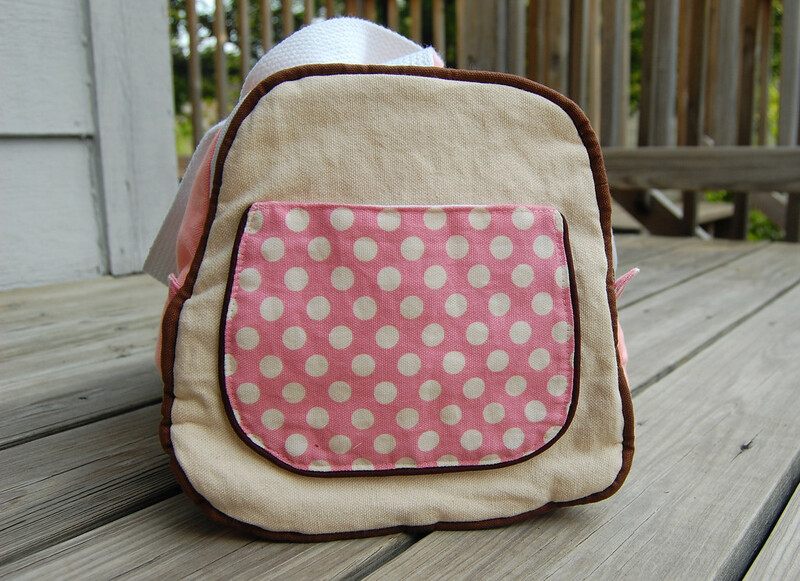 Straps were sewn over its side edges and the brown base piece over its bottom edge. 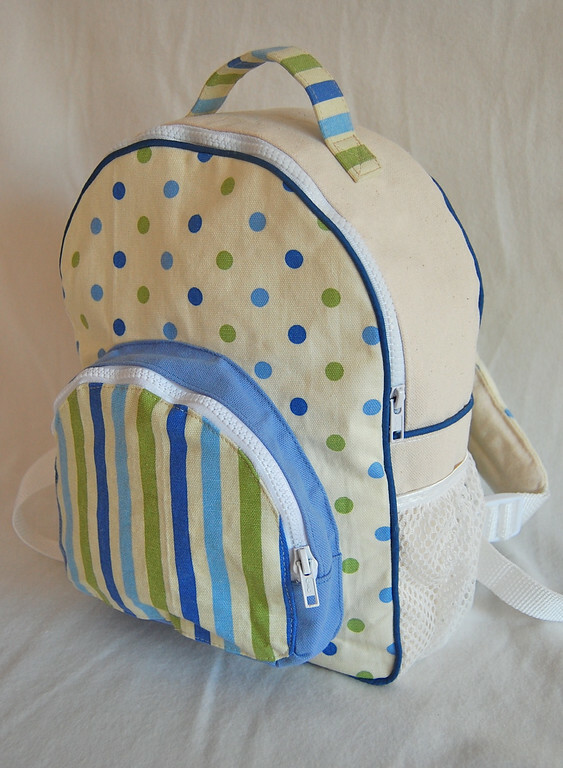 Jenna's backpack has a front pocket with a gusset and zipper. 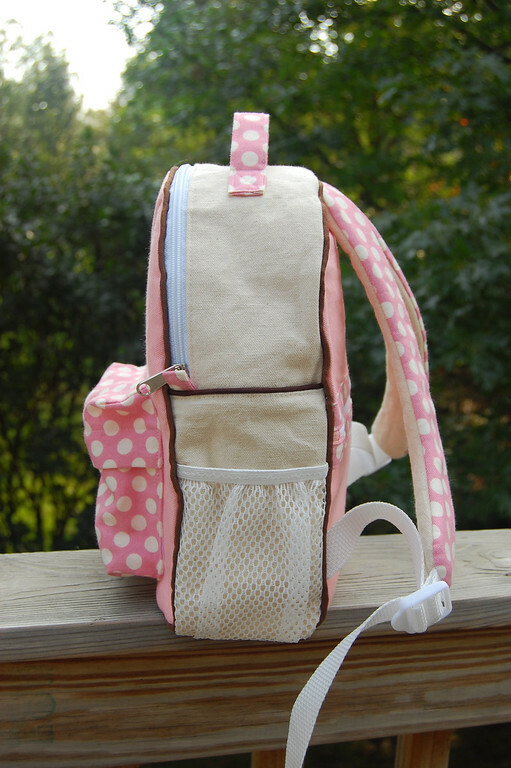 The entire pocket was constructed separately, with lining, and then top-stitched onto the bag. Patch pockets are layered one upon another with their edges bound or enclosed in seams. I can't think of a single garment I've made which has a zippered or gusseted pocket or one with elastic. Except for the shirred pocket, which has elastic thread. 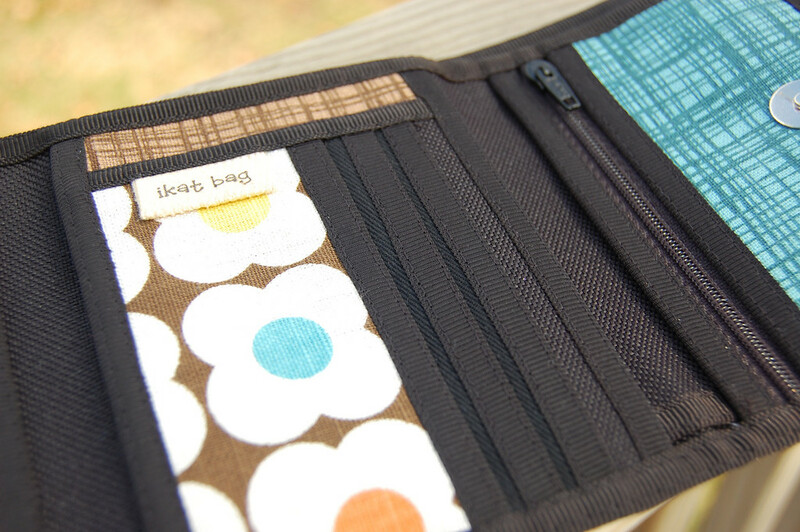 Pockets on bags, wallets, handbags have more complex construction and means of fastening. This makes them more interesting (for me, anyway) than garment patch pockets, but they are also more fiddly to assemble. 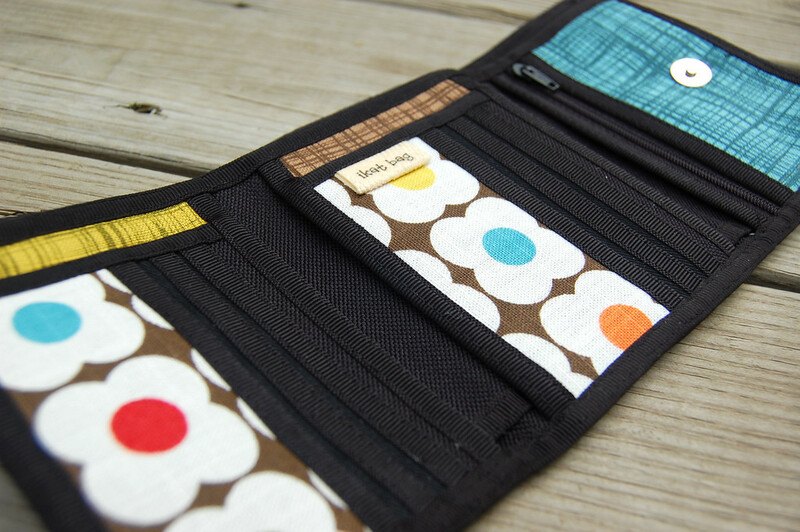 But - and the purpose of this post was to show this - patch pockets are just so versatile and can be found and used literally everywhere. Aaaaaaand that brings us to the end of patch pockets. Hurrah, because the next ones coming up are even more fun to work with and personalize! I'm in awe of how many different things you have sewn. This pocket series is a lot of fun--thank you for taking the time to put it together! Wow, those backpacks and the wallet look just awesome! You are so resourceful! Working on. I understand the construction of most of these with the exception of how you are sewing the zipper into the hooded pocket. I understand the boxed corner construction and how it would be seen without the hood, but my brain can't figure out how you have the continuous design in the fabric (no breaks) AND a zipper underneath. I will have to practice.